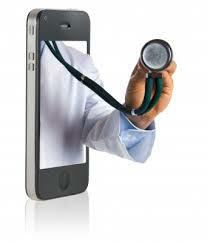 Remote medical access 24/7 by cell phone for urgent needs and questions or through voicemail, e-mail or text. Open access scheduling online or by voicemail. Please schedule 48 hours ahead of appointment. Online access for established patients via e-mail or text. Not used for emergencies or urgent needs. Daily remote home health monitoring of chronic conditions to avoid emergency visits or hospitalization (see Home Health Monitoring below). Office based testing includes EKG, Vascular Profile, Pulmonary Function, diabetes & coagulation monitoring, sonography and routine blood tests. In some cases this type of access allows you to be followed without the need for an office visit. If an office visit is necessary to serve you best you will be advised and the contact will not generate charges. Coordinate care with medical specialists and provide second opinion reviews. Sort through past medical information and organize medical history for your EHR (Electronic Health Record). Create a transferable EHR for patients. Provide a personal portable EHR ID care/bracelet/necklace. This allows you to provide the information necessary to get the support you need when you see a consultant or in an emergency and save time doing admission paperwork. This gives you the confidence that your questions and supervision of your health parameters are done on a timely basis and convenient for you. Promotes patient self-management with messages, encouragement and reminders. Reduces office and home visits especially when used in conjunction with virtual home visits. Enhances adherence to medication schedules and care plans. Permits access to health parameters at any time from any place. Improves care outcomes by reducing emergency visits and hospitalizations. Includes diabetes, lung disease, coagulation, hypertension, and mental status. I have over 20 years experience evaluating patient care for departures from standards of care, the legal term for malpractice and negligence. Normal process would be for a patient to first consult with an attorney who has no foundation to assess standards of care and without exception will retain an expert like myself at your expense after you have paid his retainer fee. Did your physician care meet acceptable standards? Did the hospital make unnecessary charges or make medication or other errors? If you have a question about past care or need a second opinion on recommendations contact Associated Medical Consultants. Coagulation monitoring PT/INR (heart attack, heart valve, blood clots, stroke). EKG (palpitations, heart and coronary artery problems). Finger stick blood sugar monitoring (diabetes management). Finger stick Chem profile (water pills, heart failure, diabetes). Holter Monitoring (palpitations, heart disease, heart attack, coronary artery disease). Outside lab tests provided by commercial lab. We draw blood and provide a discount that is generally less then insurance reimbursements and never more than our cost. Oxygen saturation monitor and pulmonary function testing (chronic lung diseases). Peripheral vascular pressure testing (leg pain and swelling, poor circulation, blood clots). Physical limitation assessment for durable medical equipment that is available for sale at a discount or for rent or loan as available. Ultrasound (Doppler) evaluations (breast/skin masses, circulation problems, gallstones). Upper and lower intestinal endoscopy (swallowing problems, ulcer, reflux disease).